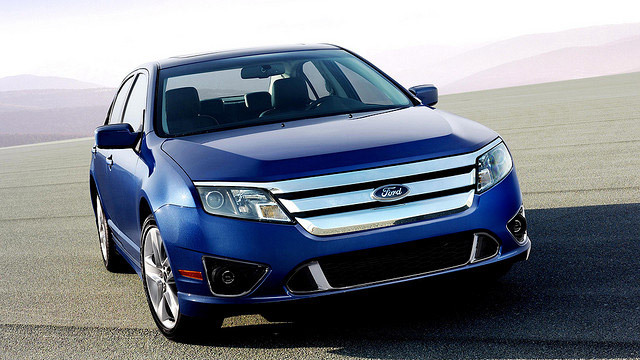 Ford designs and manufacturers some of the most reliable and well-built vehicles on the market. Your Ford will run smooth and healthy throughout the years with proper maintenance and regular inspections. In order to maintain your vehicle in top working condition, your Ford’s repairs and services should be performed by a professional and experienced auto repair center. At Superior Auto Clinic in Chico, CA, our ASE certified technicians are experienced and specially trained to work on all makes and models of Ford. Whether your Ford needs repairs or is due for scheduled maintenance, our experts can help. Our expert mechanics can perform a wide range of Ford services, including oil changes, brake repairs, belts and hoses replacement, fluid flushes, and more. Our Chico auto repair facility has the latest computer diagnostic equipment to accurately diagnose and repair your Ford. If you’re experiencing any issues with your Ford, whether your engine is running rough or your brakes have lost their power, bring your vehicle into the experts here at Superior Auto Clinic in Chico, CA. Our friendly staff takes the time to provide you with a free estimate of our recommendations and determine which services are necessary for your vehicle. Our goal is to get you back on the road quickly and safely, while also extending the life of your Ford. At Superior Auto Clinic in Chico, CA, we offer superior customer service and professional auto repair at fair prices that you can afford. We now offer a 36 month/36,000 mile warranty on services and repairs. Our AAA approved Chico auto repair shop has been the leading auto repair center in Chico since 1953. When you need superior service or repairs for your Ford, bring your vehicle into the professionals here at Superior Auto Clinic. We look forward to servicing your vehicle soon!